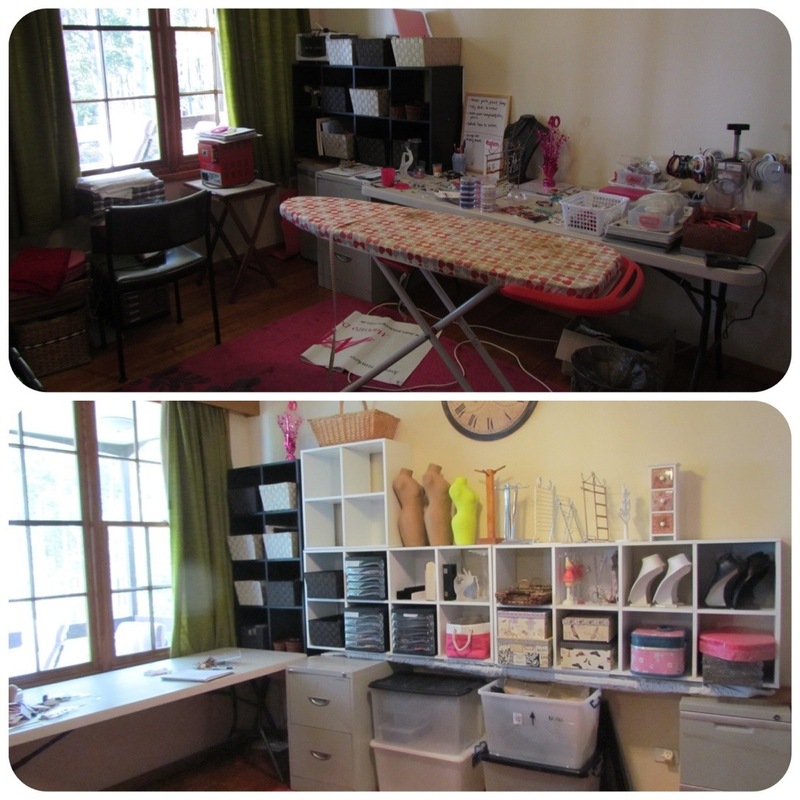 Before and after my 3 day journey from mess to organised. I am so happy, hubby is happy (with the picture at least, he is yet to see it in the flesh) and I feel so organised. There is a lot of work to do with all my beads and sorting out the bead bookcase, and those millions of misc beads and bits I want to repurpose. 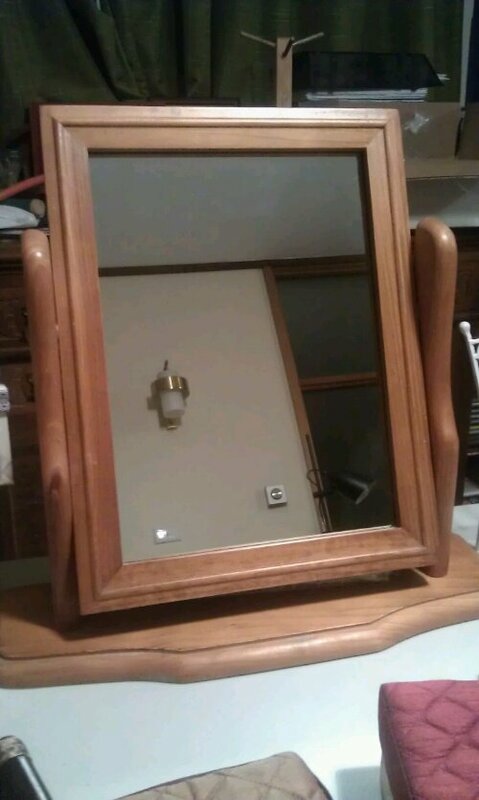 I have been looking for a new mirror for my table, or some time. The old one. Well, it was old. And had weird scratches and marks on it, that to be honest, made it look crappy. It had been mentioned to my market neighbour that I was on the lookout for a new one, it had to be the right size, and the right look before I would buy it. My neighbour often goes to garage sales and auctions to find little things so when I got a phone call on Saturday evening saying she had a mirror and would I be at market tomorrow, I got all excited. She is a wonderful friend and while looking for her own things, was on the look out for me as well. We moved my current mirror and set this one up to see if it would work with my look and layout – Perfect! Money changed hands and now this beauty is mine. I am in the process of re-designing my layout for a new market I will be attending. The current market I do has a group of different sized tables, many of them the standard 180cm but the one I use is closer to the 200cm mark. Which when setting up for market, changes the whole dynamics of the display. I am now working through revamping the display slightly to allow for the bigger mirror and less room. Fun, I think not. Markets. What’s going on with those. I am doing the Woodbridge market twice monthly, if we can get it to keep going over winter (it is normally just a summer market) I wont be going back to the Snug one just up the road. I have been rejected several times for the nichey one at Kingston Beach. Which is fine. Not evveryone lieks what I do. Now to the new market. Mum has attended the Kingston market several times and this week just gone a guy came around with some business cards advertising a new market he’s starting up in Huonville (similar distance, but the opposite direction) for those that may be interested. Mum rang and asked if I would be interested – yes please! – and passed on the details. Well, several emails later, I am in! And none of that application process, sending in pictures of your product for someone else, who usually has no idea what they are looking at, to judge and decide if it’s suitable. I did include a link to my website so he could see what I do, and he mentioned that mum and I will be next to each other. Now while I love being near different people and getting to know others, it is nice to know I can trust my neighbour when the loo/coffee runs come up. So while I will be missing the next Woodbridge market as hubby and I are taking a weekend away just the two of us, I will be working on some new pieces ready for the 5th May market. And a little bit of fun and a giggle to finish with. I sent hubby off to work again this afternoon dropping him at the airport around 3pm. Several hours later I check out my facebook only to find this. I was speechless. I mean really, what do you say in response to this?? You can’t say he doesn’t support me? The basic back story is about rival car racing teams. Hubby is a staunch Ford follower and a friend is Holden. 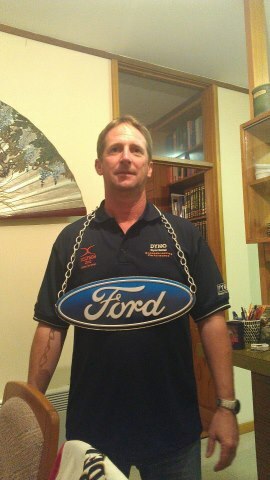 He had made his own bling, and this is hubby’s retaliation. I love him. Nutter that he is. Happy beading, marketing and bling-ing.